The roof of Notre Dame Cathedral is completely gone, eaten away by a "colossal" fire that has all but destroyed the great Paris landmark, and one of the most famous churches in the world - a symbol of great art, architecture, and engineering. "Everything is burning," said a spokesman. When the spire came down, it became apparent that very little of the wooden frame structure would survive. Notre Dame's foundation stone was laid in 1163 by Pope Alexander III, and the cathedral was completed in the 13th century. The spire was a 19th Century addition. Ancient buildings like it are engineered so the walls hold up the roof, but the roof holds the walls in place. Without those cross timbers, there's not a lot keeping the walls from collapsing. 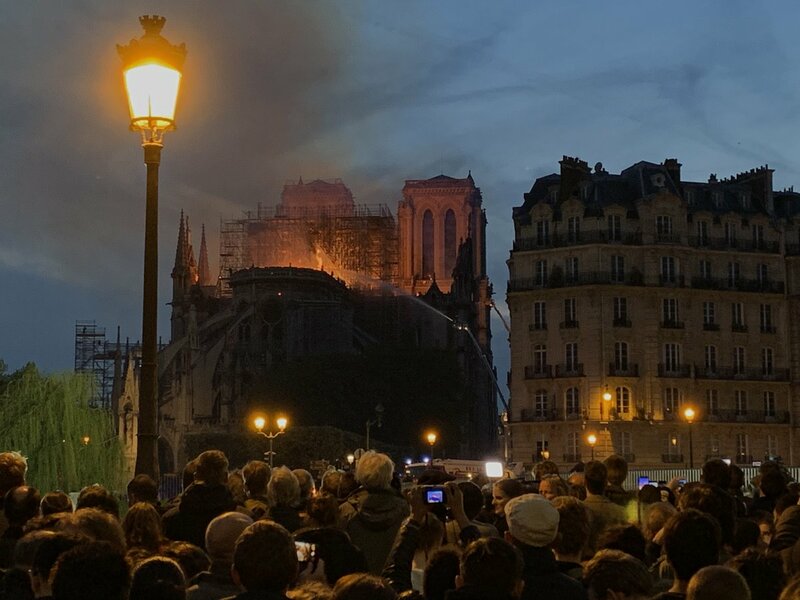 The stone towers making up the facade that most people are familiar seem to escaped the wrath of the flames, but there's nothing left behind them. Owned by the French government, Notre Dame is still used for services by the Roman Catholic church which pays for the upkeep. It was undergoing a AU$9.5 Million renovation project, and the central portion of the roof where the flames initially did the most damage was surrounded by scaffolding for that work. Several copper statues had already been lowered 96 meters to the ground to make room, and thus escaped the worst of the damage. 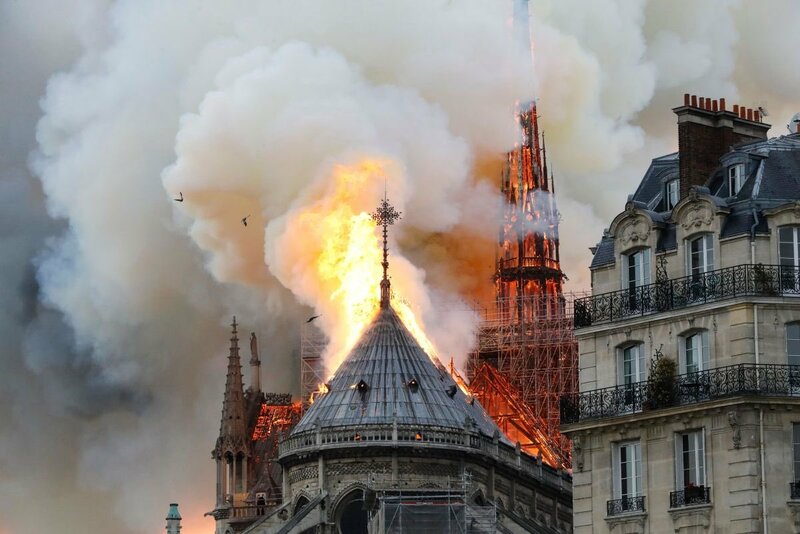 Firefighters have already speculated that the cause of the blaze is related to the project, although Paris prosecutors have only now opened an investigation and it will probably be lengthy and deliberate. The process of removing nuclear fuel from the Fukushima Daiichi nuclear power plant in Fukushima, Japan is now underway. Robots are being directed to take fuel rods out of a storage pool near reactor number three and will take years to complete. Three reactors melted down after the March 2011 earthquake and tsunami disaster, with the cores of all three melting through into the ground. It was only within the last few weeks that Tokyo Electric Power Company (TEPCO) located some of that loose fuel. German prosecutors have charged former Volkswagen chief executive Martin Winterkorn and four other managers with fraud over their involvement with Dieselgate, in which VW and Audi cars were rigged to give false "green" results during government-mandated emissions tests. Winterkorn is already facing criminal charges in the US, but is unlikely to face trial because Germany does not extradite its citizens. He could face a prison sentence of up to 10 years if found guilty. A Muslim US Congresswoman says she's getting more death threats because of Donald Trump and his "violent rhetoric", accusing Trump of stoking right-wing extremism. "It has to stop," Minnesota Rep. Ilhan Omar added. Trump actually doubled down on his attacks on Monday, earning rebukes from House Speaker Nancy Pelosi, the Congressional Black Caucus, and others. South African police arrested two people in a car with 167 Rhino horns, one of the country's biggest-ever hauls of the contraband. Rhino horn brings up to US$60,000 per kilo on the black market; the appetite for Rhino horn in Southeast Asia causes poaching in Africa and the decimation of Rhino numbers.